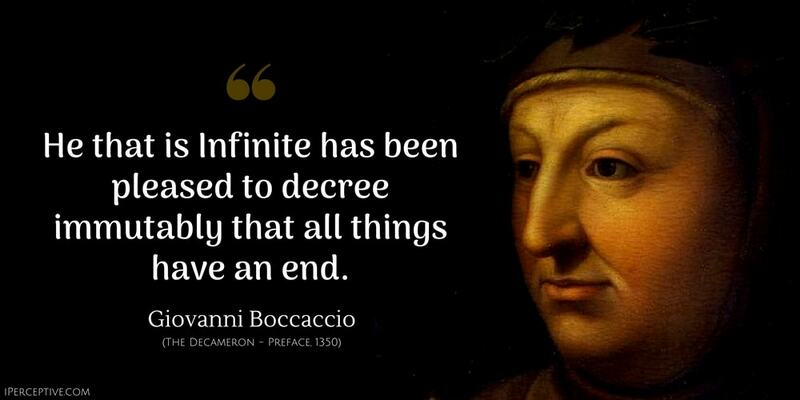 He that is Infinite has been pleased to decree immutably that all things have an end. Who means ill, dreams ill.
A sin that's hidden is half forgiven. An oak is not felled by a single blow of the axe. The deceived has the better of the deceiver. 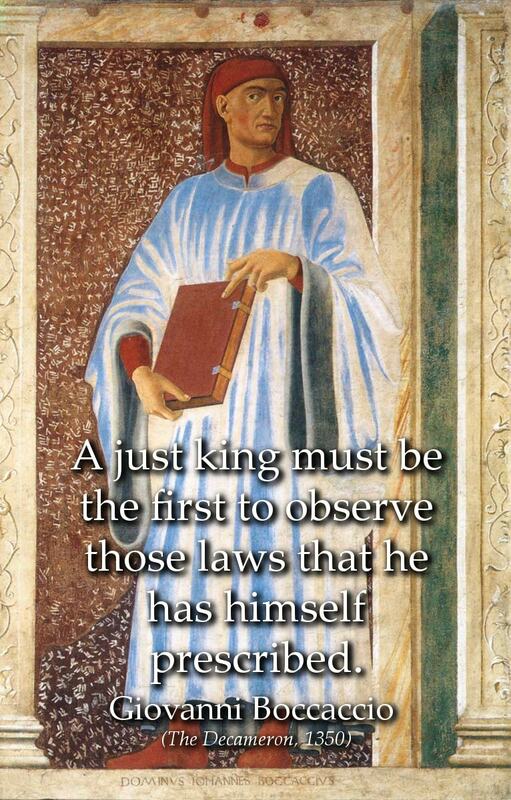 A just king must be the first to observe those laws that he has himself prescribed. 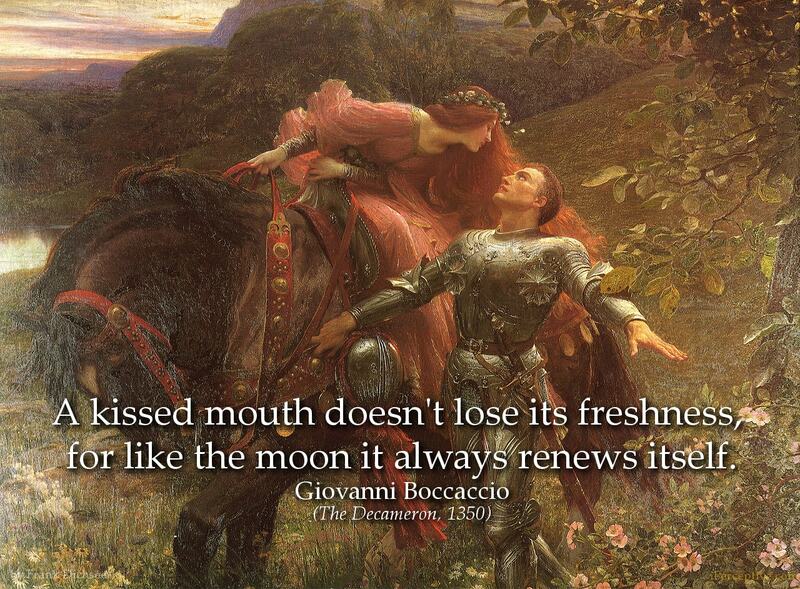 A sweet little mouth with lips like rubies. People are more inclined to believe in bad intentions than in good ones. And if his own joy knew no bounds, the girl was no less delighted on seeing him. Wrongs committed in the distant past are far easier to condemn than to rectify. 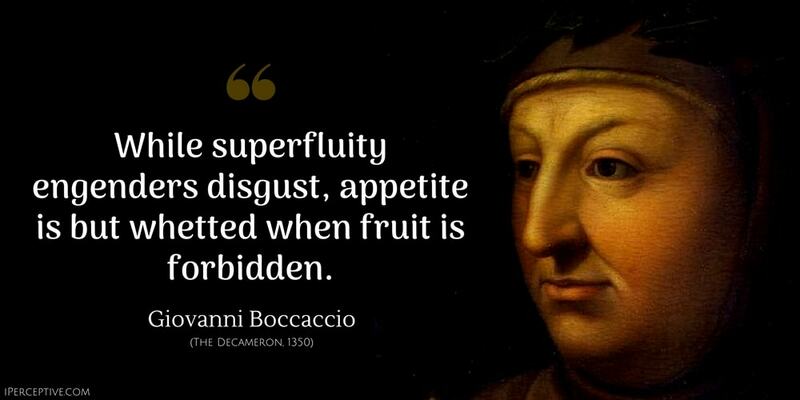 While superfluity engenders disgust, appetite is but whetted when fruit is forbidden. He who is wicked and held to be good, can cheat because no one imagines he would. Charming ladies, the beauty of a flock of white doves is better enhanced by a black crow than by a pure white swan. It frequently happens that people grow tired of always eating the same food, and desire a change of diet. I propose to tell you a very brief tale about a love which...ran a smooth course to its happy conclusion. Every person born into this world has a natural right to sustain, preserve, and defend his own life to the best of his ability. As stars in the serene expanse of heaven, as in spring-time flowers in the green pastures, so, honourable damsels, in the hour of rare and excellent converse is wit with its bright sallies. But, though the pain has gone, I have not lost the memory of kindness received from those who were moved by sorrow on account of their affection for me; nor do I think I shall ever forget these things, save through death alone. In this extremity of our city’s suffering and tribulation the revered authority of laws, human and divine, was abased and all but totally dissolved, for lack of those who should have administered and enforced them, most of whom, like the rest of the citizens, were either dead or sick, or so hard pressed for servants that they were unable to execute any office; whereby every man was free to do what was right in his own eyes. From my earliest youth until this time present I was taken with a lofty and noble love, one that was perhaps too high for my lowly birth. Although I was praised and more highly esteemed by discreet persons who heard of this love, yet it caused me great pain and suffering, not indeed through the cruelty of my beloved lady, but through the excessive fire kindled in my soul by ill-regulated appetite. And since this brought me to no satisfactory end, I often suffered more distress than was needful. In fear and shamefacedness they conceal within their delicate breasts the hidden flames of love, whose strength is far greater than those of evident love, as is well known to those who have suffered them. Moreover, women are restricted by the authority of fathers, mothers, brothers and husbands. They spend most of their time shut up in the narrow circuit of their rooms, sitting in almost complete idleness, wanting and not wanting a thing in the same hour, turning over different thoughts which cannot always be gay ones. Now if the melancholy born of fierce desire should enter their minds, they must be forced to remain in sadness unless it is driven away by new discourse; moreover, they have much less endurance than men. This does not happen with men in love, as may be evidently seen. If men are afflicted with melancholy or heavy thoughts, they have many ways of lightening them or avoiding them; whenever they wish, they can go out and hear and look at things, they can go hawking, hunting, fishing, riding; they can gamble or trade. 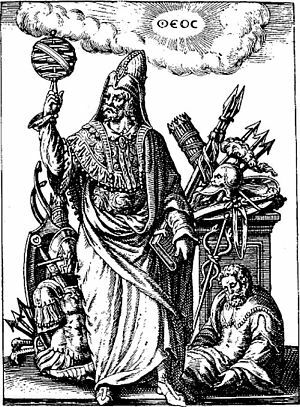 By these means every man can divert his mind from himself wholly or partly, and free it from uneasy thought, at least for a time; and thus in one way and another consolation comes to him or the anguish grows less. 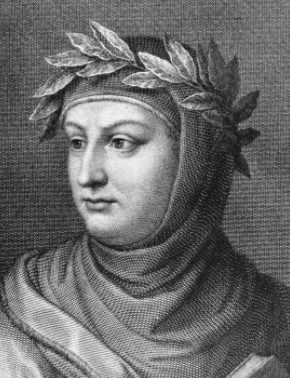 Therefore I mean to atone for the wrong done by Fortune, who is ever most miserly of comfort where there is least strength, as we may see in the case of delicate women. As an aid and comfort to women in love (for the needle, the distaff and the winder should suffice the others) I intend to relate one hundred tales or fables or parable or stories -- whichever you choose to call them -- as they were told in ten days by a band of seven ladies and three young men during the time of the recent plague, and also certain songs sung for their delight by the said ladies. In these tales will be seen the gay and sad adventures of lovers and other happenings both of ancient and modern times. The ladies who read them may find delight in the pleasant things therein displayed; and they may also obtain useful advice, since they may learn what things to avoid and what to seek. Nor can all this happen without some soothing of their melancholy. The weight to feel of other amorousness. May me deprive of such sweet ravishment. My heart should know another amorousness? Unless he burn with ev'n such amorousness. None knew; for ne'er was felt such amorousness. 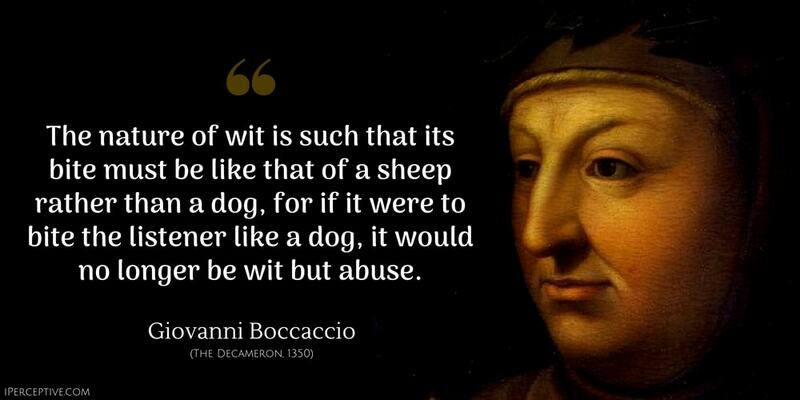 Giovanni Boccaccio was a Italian (Florentine) poet and write, he is best known for his vast array of stories, most notably the Decameron, and for his role in the humanist movement.